Dave Matthews Band celebrates the Prairie Home Companion at the inaugural 2012 River's Edge Music Festival in St. Paul, MN. Limited edition numbered silk screen poster designed by Methane Studios. Only 475 numbered prints. 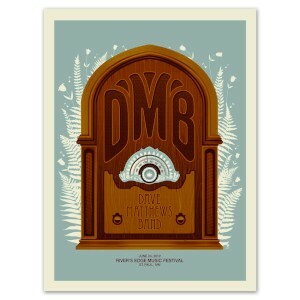 Officially licensed Dave Matthews Band merchandise.